Welcome to the North Bay Schools Insurance Authority website! 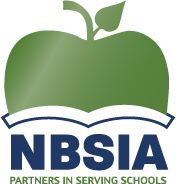 For almost 40 years, NBSIA has been the trusted risk management partner of public educational agencies in Napa, Solano and Yolo Counties. Unlike traditional insurance, NBSIA is Member-owned and Member-driven, focused on the singular goal of serving our Members' needs. Our governing Board is made up of representatives from each of our Members, and they are an important part of our success. Each School District and County Office of Education is unique, and they also share a number of goals and responsibilities when it comes to protecting students, staff, and school resources. NBSIA partners with our Members to understand their individual and collective needs, and to help them realize the benefits of working together on common goals. This collaborative approach has resulted in safer schools and saved Members millions of dollars that they were able to put back into the classroom. Our experienced staff understands school risk and works hard to ensure that our Members receive the best services and protection. We provide property, liability, cyber, crime, and workers’ compensation coverages, as well as dental and vision benefits, an Employee Assistance Program, and a wide variety of programs and trainings designed around the unique needs of schools. Forward thinking and smart use of technology guide us to develop proactive strategies that engage, educate and empower our stakeholders to ensure safe and healthy workplaces. You can find more information on our services in the various program areas of this website. 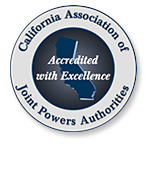 NBSIA is proud to hold both the California Association of Joint Powers Authorities (CAJPA) Accreditation with Excellence and the Association of Governmental Risk Pools (AGRiP) Recognition. CAJPA is a statewide association serving risk sharing pools, and AGRiP is the national equivalent. Accreditation and recognition by these organizations provides confidence in NBSIA's quality and adherence to professional standards and best practices.